Cost to build a carport varies greatly by region (and even by zip code). Get free estimates from General Contractors in your city. Cost to build a carport varies greatly by region (and even by zip code). The average cost of building a carport is $2,600 - $6,000​. 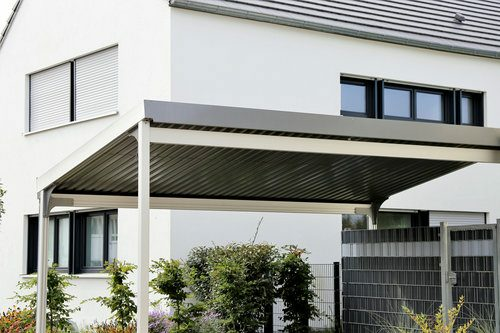 Though many believe a carport to be the simplest, and therefore least expensive, way to shelter a vehicle they can be extremely close in cost to a finished garage of the same size. For this discussion we will assess the cost of building a sturdy and completely detached carport of 676 square feet (26'x26') which will easily accommodate two vehicles, leave room for storage, and perhaps even a small work area. Building a carport is not really a standard "DIY" project, and several contractors might be necessary for the job (concrete, carpentry, electrical, etc.). According to author of RepairHome, the average cost of building a carport begins at roughly $2,600, and for a two-car version the average costs will climb much higher. This sort of structure will average at $6,000. The resale value of this update would hold at $4,680, or an approximately 78% return on investment. The above figures place the cost of the carport at a very reasonable $8.80 per square foot. This pricing structure assumes that carpenters charge an average of $70 per hour, electricians between $65 to $85 per hour, and painters between $20 and $35 per hour. Traditionally, most homeowners who do not tackle the project themselves will usually opt to work with a single contractor, who identifies suitable subcontractors and pulls proper permits, for such a project. Installation of gutters and eaves. How much does it cost to build a carport in my city? Cost to build a carport varies greatly by region (and even by zip code). To get free estimates from local contractors, please indicate yours.